Discussion in 'RBA and Subtanks' started by cerebral79, Mar 26, 2014. I thought it would be nice to start a thread where members can reply with pics of the various coil builds they are trying. I'll start, feel free to comment/ask questions, and post your own build pics. This build is a dual micro coil, using 8 wraps of 28g. Kanthal. 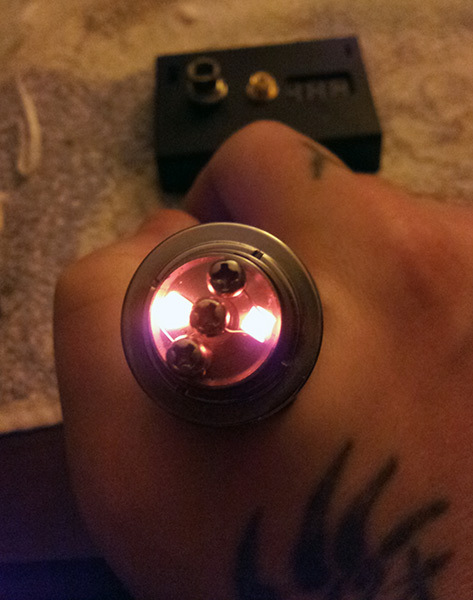 Each coil came out to be 1.2 ohms so the final read out for the dual coil was .6. 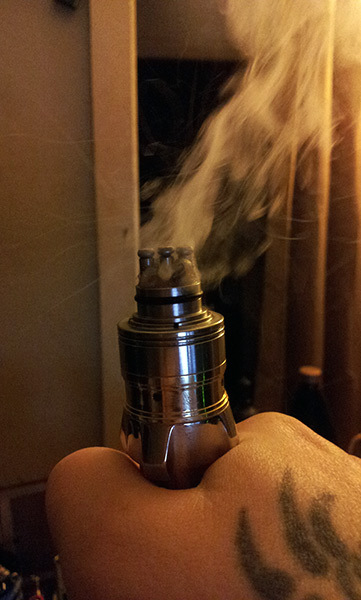 I'm using cotton wicks on an Atomic RDA with a Maraxus mod using an 18650 battery. This coil has turned out to be one of my favorites to date! I dont have to drip every two pulls, it hits hard, and has tons of flavor. it does eat the juice a bit fast so it's not really a chain vaping build like a higher resist setup but i have plenty of juice to spare so it's all good. Hits like a champ with lots of flavor. 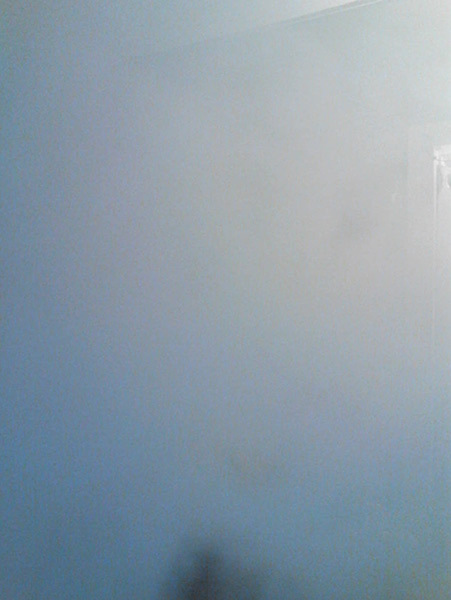 Tried dual super nano coils which was a sick vape but it burned the juice WAY to fast. 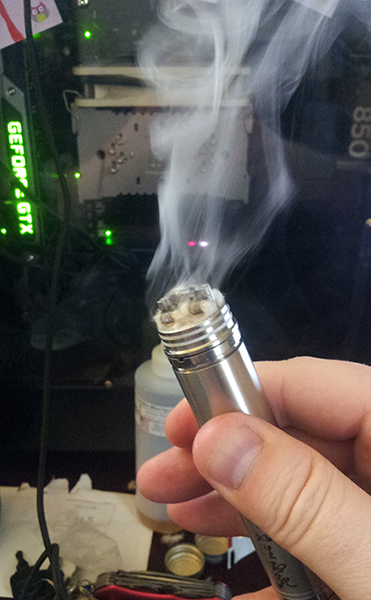 Jus set this up on my ProVari so I could run it at higher than 2.9 volts. 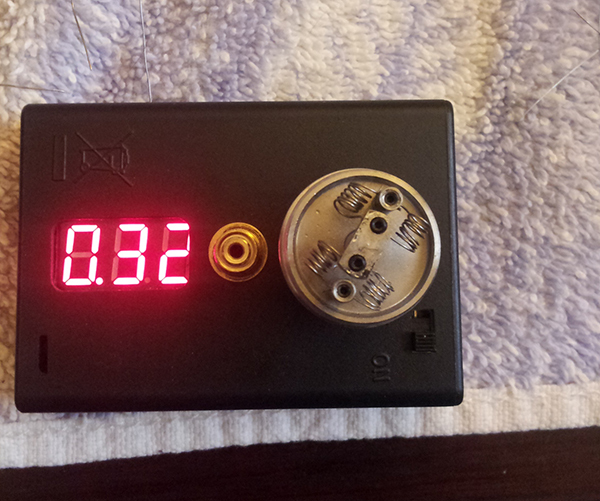 It's a 20 wrap of 28ga kanthal reading out at 2.8 ohms. I'm running it at 6 volts and it's hitting real nice. The Atomizer is a Smok RSST (Genesis Style)Tank Atomizer. 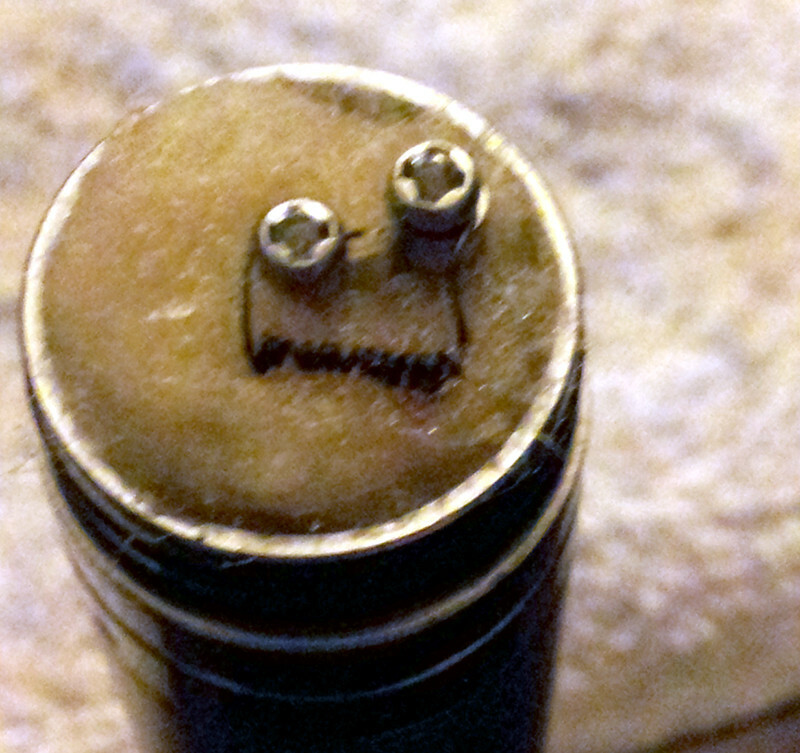 I am getting some 30go kanthal wire soon so I won't have to use so many wraps to get higher ohms. 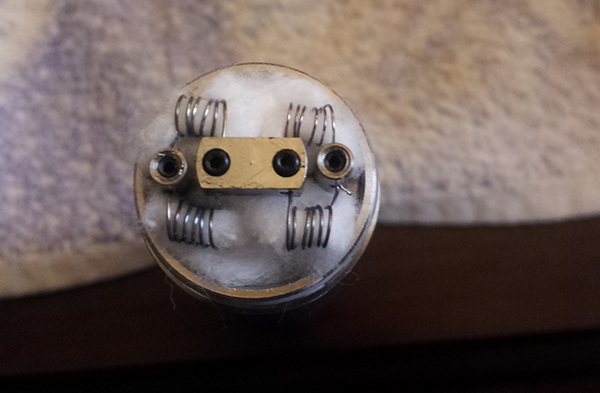 So i just got my new Helios RDA and really wanted to try building a quad coil. 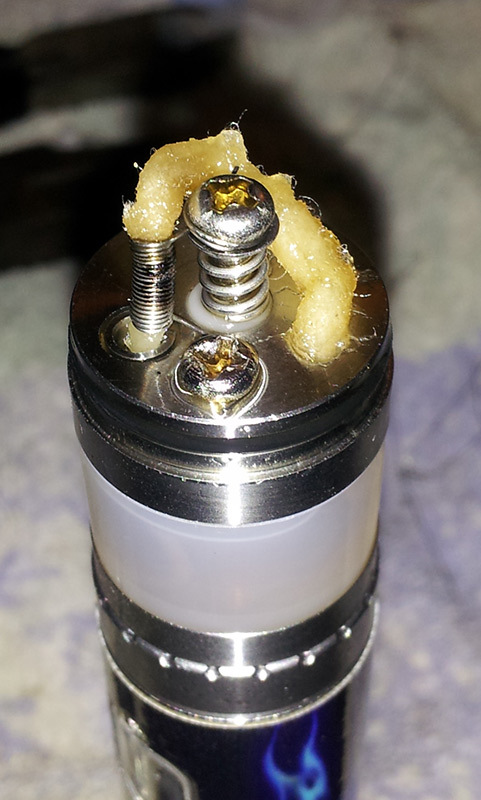 I ended up with a final read out of .32 ohms using 6 wraps of 28ga kanthal per coil and cotton wicking material. 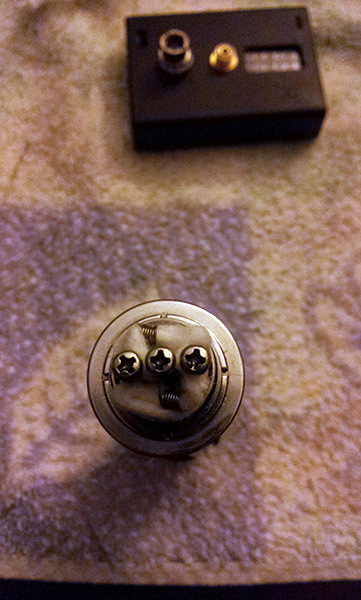 I have to say that while I was excited to finally build a quad coil, I wasn't very impressed with the performance. I ended up scrapping the build and set up a .5 ohm dual coil with the same materials listed above. You can check out the quad coil below. If you're at a semi-advanced level of coil-building, I highly recommend checking out RipTrippers' vids on youtube. He makes some CRAZY builds, but they look to hit amazingly! I don't sub-ohm, so IDK how great they would be for me personally, but they look like fun to try at a higher ohm, as well! Rip is the man, he got me into rebuildables and i try most of his builds but so far the .5 ish micro coils are my fav and i leave the novelty coils alone after I try them once.